In vitro, olive phenols exert potent antioxidant and enzyme-modulating activities. We comparatively evaluate, in mildly dyslipidemic patients, the vasoprotective potential of extra virgin olive oil. 22 patients were administered 40 mL/day of either extra-virgin, i. e. phenol rich, or refined, i. e. phenol poor, olive oils (EVOO or ROO, respectively, with nearly identical fatty acid composition), with a crossover design. Each treatment was carried out for seven weeks, with four weeks of washout in between. Plasma antioxidant capacity, serum thromboxane B2 (TXB2) formation, and urinary isoprostane excretion were evaluated as surrogate markers of cardioprotective potential and vascular function. No effects on plasma lipid/lipoprotein profile were observed. Conversely, EVOO consumption was associated with favorable effects on circulating markers. Namely, decreased serum TXB2 production and increased plasma antioxidant capacity were observed when EVOO was administered in both treatment arms. Neither treatment had any significant effect on isoprostane excretion. 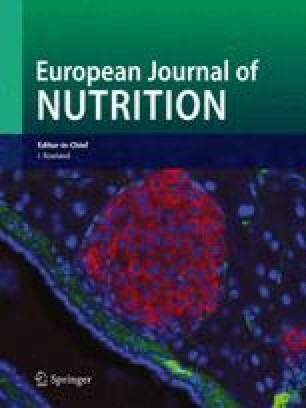 EVOO consumption by mildly dyslipidemic patients is associated with favorable changes in circulating markers of cardiovascular condition. Based on current knowledge, these effects may be associated with cardioprotection.